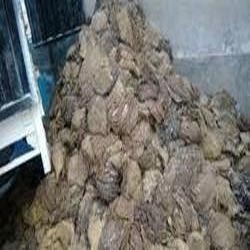 Being quality oriented organization, we offer Dried Buffalo Omasum. There is high international demand for our omasum as it has immense delectable properties. The health conscious folks will be benefit by it as it is rich in nutrition. Their processing and packaging is done in the most hygienic way so that it retains its softness and stays fresh. We have a properly equipped cold storage unit that preserve this Dried Buffalo Omasum for a long time and simultaneously maintains its natural flavor. We Prefer Exports Inquries for Exports : Mainly From China And Eastern Countries. We started our business sin the year 2009 as a sole proprietor S.A. International is known in the market as a prominent processor, supplier and exporter of Frozen Meat, Buffalo Meat, Buffalo Brain, Buffalo Hide and many more products. These products are known for their quality and customers can avail these products from us at pocket friendly prices. We processed our products under a hygienic environment and make sure to deliver a quality tested array of products to clients. Offered products are not only fresh, but also processed under the supervision of our experts. We also export our products to various countries like Asian Countries. Total 40% of our products are exported by us as per the demands of the customers.